For nearly 29 years Professional Astrologers and the "astrologically aware" have used our TimeLine software to help them take advantage of opportunities they may have otherwise missed, or to avoid unpleasant situations or events headed their way. Our TimeLine Express Personal software lets you prepare detailed personal reports for any three-month period you want to examine. Look forward to see what's ahead or take a look back for an explanation of an event or situation that you have already experienced -- it's often very revealing and informative to see why something has happened to you and what influences were at play in your life. The way you can move back and forth through time using this software would make Einstein envious. TimeLine Express Personal report software is easy to use. You don't have to be an astrologer or even know anything about astrology to create professional quality reports - the software does the work. Simple user-friendly screens make creating your reports a breeze. Why miss those "golden" opportunities or risk traveling through time blind when a window on your future is just a click away. TimeLine Express lets you use your own computer to create detailed astrological forecasts for yourself, family, and friends. For centuries people have used astrologers to "see" what their futures may hold. Whether you use TimeLine for personal planning, to give you a strategic edge at work or in preparing your business plans, the reports you produce with TimeLine software give you invaluable insight into "what's around the corner." 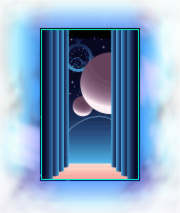 Express Personal report software produces individualized astrological reports that can be read onscreen or printed. These programs meet the same exacting standards that have made our Professional astrology programs the choice of professional astrologers and the standard against which all astrology programs are judged. Matrix reputation for precision and quality assure that you have the finest astrological reports available anywhere. TimeLine Express Personal reports may not be sold or used commercially in any way. If you are interested in offering astrological reports to customers or clients please click here to read about TimeLine Professional-level software. Enter your birth information (or anyone's) into the TimeLine Express easy-to-use onscreen form; choose the start date you want; click the process button and in seconds you are reading your future! It is that simple. You don't have to be an astrologer or know anything more about computers than how to point and click. The reports you create are written so that even someone with absolutely no knowledge of astrology can read, understand and use the valuable information contained within every TimeLine Express personal report.